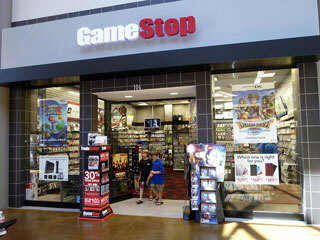 If you've ever ordered anything from GameStop's website, your data may have been stolen. "GameStop recently received notification from a third party that it believed payment card data from cards used on the GameStop.com website was being offered for sale on a website. That day a leading security firm was engaged to investigate these claims. Gamestop has and will continue to work non-stop to address this report and take appropriate measures to eradicate any issue that may be identified." "We regret any concern this situation may cause for our customers. GameStop would like to remind its customers that it is always advisable to monitor payment card account statements for unauthorized charges. If you identify such a charge, report it immediately to the bank that issued the card because payment card network rules generally state that cardholders are not responsible for unauthorized charges that are timely reported." We'll keep an eye on this situation and update with any new information that becomes available. For now, if you've made a purchase at GameStop's website recently, you should scrutinize your account for any unauthorized activity.